I am without a doubt a Holmesian. It is in my core. I grew up watching Basil Rathbone movies with my grandmother, and as soon as I could I dug into his own material, the good stuff so to speak, and immersed myself in the writings of a brilliant man. I have been hooked and find myself drawn to any incarnation of Holmes that I can find, with the exception of the travesty of a tv show that has Lucy Liu as Watson. I don't care about Watson being Asian or female, only that the show ranks in the worst way. Until Cumberbatch came along I would have told you my definitive Holmes was Jeremy Brett, now I have two favorites. I endure the Downey films. Anyway, that is a list of my bona fides. I cannot tell you how many times I have read Doyle's words, and I am drawn to new stories whenever I can find them. 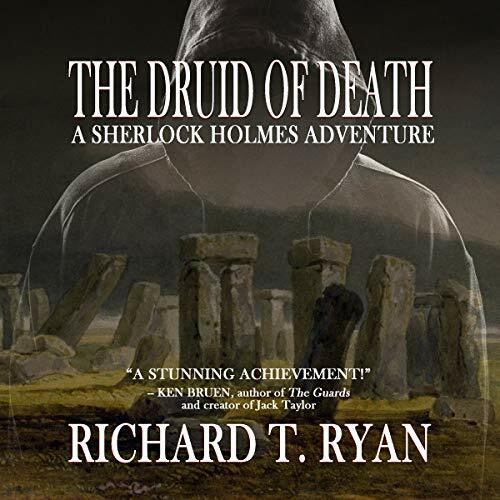 Thankfully, I can report that the Druid of Death has the feel of a Holmes story crafted by ACD himself. 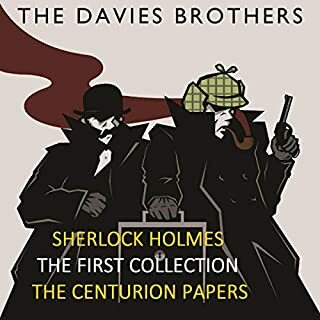 It has all the requisite elements, and the characterizations of Holmes and Watson are spot on. I really couldn't ask for more, but thankfully, Ryan provides a stunning mystery for Holmes to solve and a villain up to Holmes standards. 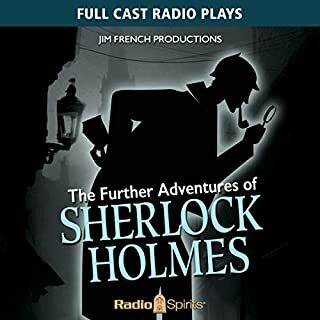 I thoroughly enjoyed every minute that I listened to this tale, and sincerely hope that Master Craftsman Ryan opts to do more Holmes in the future. That is the best compliment I can provide. The writing reflects Doyle's but doesn't stagnate on it, and is complex and thought provoking. Peever provides the voice of Watson (as well as the rest, but since he is the one to tell the stories . . ) an is impeccable at it. 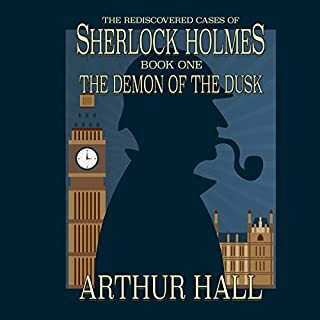 I enjoyed listening to him tell the tale, and believed that he carried the story along at a fine pace, and that he provided all the shock and awe that Holmes inspired in his friend. I had not heard him do any readings up till now, but I have to say that I think he is a fine narrator. 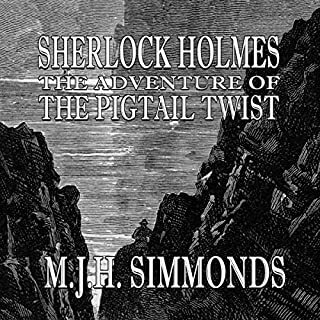 If you are any kind of a Sherlock Holmes fan then this is the place for you to go to get a new "fix", and the story is just long enough that you mind find it to be a three pipe tale! Even though I did receive a promo code for this review it in no way influenced my considerations of the material, and in fact, inspired me to be more honest. Getting a code generally makes me harsher as a reviewer as I am more often concerned what someone like Me will decide based on my review. When you eliminate the impossible. I have always been a fan of Sir Arthur Conan Doyle’s Sherlock Holmes and while there have been many attempts to recreate the magic of Sherlock Holmes, few have been successful. This story was really in the vein of the original and I think Richard Ryan did the legacy justice. The plot and setting were as if Arthur actually wrote it and everything was in place. There were a few Holmesian things I was looking for and they showed up. The author clearly knows how to do Sherlock Holmes. If I hadn't already read all of his stories I would absolutely believe this was one of his. The plot was done quite well and the mystery is afoot. I really like the setting of historic places while Holmes tries to solve the case. Everything felt like a classic Holmes story and I was really impressed. Every Holmes story makes me try figure out the ending before it happens, this one was easy. Like Scooby Doo this laid out the information to decide who done it. It was still a solid story and I want more. The fact that this it is still told from Watson’s POV made me happy. Any Sherlock Holmes fan will enjoy this story. I have always thought Basil Rathbone was the voice of Sherlock and Nigel Bruce was Dr. Watson. I have to say that Nigel Peever did a great job for both. His ability to switch voices for the different characters immediately was amazing. For a bit I thought there were different narrators. I am totally on board with Nigel being the voice of SH. Nigel nailed Dr. Watson and I hope he stays his voice. This was my first experience with a new author for the Sherlock Holmes character. As in an author taking up the pen in an effort to capture the nuances of ACD writing. I've always wanted to read or listen to another authors take on the first consulting detective so I was happy to grab a copy of this. I've listened to quite a few of Sherlock Holmes and often on repeat. I've also watched a few of the movies and TV shows dealing with this duo. I always find it interesting to see how other's choose to portray the famous duo. Even the gender bending. I think the only version I didn't care for was Nigel Bruce and that was more the way Watson was screen written and therefore, portrayed. I listened to Nigel Bruce on many of the radio plays he did and quite liked his character there. I think the Richard T. Ryan does a very good job with capturing Watson's voice and explaining the finding of this "new" story. In this new adventure Holmes and Watson experience deal with murders that involve Druid-paganism. There is some explanation of pagan related beliefs and tools that is done very well. There are other reviews that complain about Nigel Peever's version of Holmes. Peever has chosen to portray the character as a person who speaks carefully and much slower than the cocaine-fueled versions we've experienced in the cinema. It does take some getting used to. His voice does capture the arrogance of Sherlock Holmes very well and his Watson is superb. I received this audio book for free in exchange for my honest review. The writing and narration in this excellent Sherlock Holmes mystery story are both impeccable. I thoroughly enjoyed it and I'm sure that you will as well. This is an excellent Holmes adventure that would make ACD proud. I enjoyed the way Richard T Ryan captured the true feel of Holmes. Having grown up hearing Sherlock Holmes stories I was pleasantly surprised with this one. Not all authors who write Holmes adventures make the mark but Mr. Ryan did and did it well. 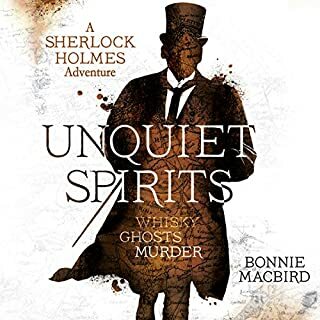 If you enjoy hearing stories about Holmes and Watson then you really should check out this book, it's quite enjoyable. The narration by Nigel Peever is wonderfully done. I love how he can give each character their own voice and emotions. He has a lovely voice and reads at a enjoyable pace. Overall a truly enjoyable listen. I've never read any of the stories about Sherlock Holmes but if this book is where close to those books I have been missing out. Great story, good leads I recommend this book. I think the story would be so much better with better narration, since when doe,s Sherlock have a lisp. 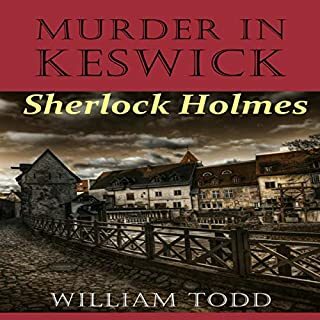 Great Sherlock Holmes story read by wonderful narrator.,Nigel Peever.I relly enjoyed it!I was given this book by the narrator,author or publisher free for an honest review.